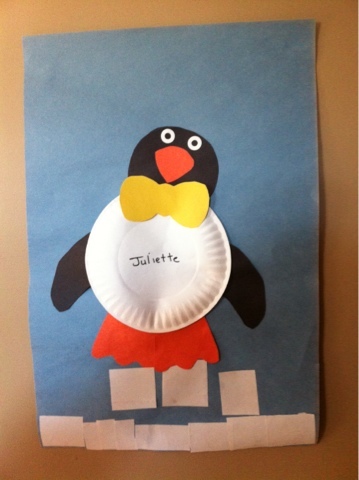 Juliette made this adorable penguin craft at school while working with squares, rectangles and circles. The body is a white paper plate and the eyes are white reinforcement stickers. Then they used white shiny paper cut into squares and rectangles for the ice. She was so proud of her penguin!! This is our first week and we really hope you'll come and be part of our growing community!